Team White Dragon traveled to Spring Hill, Tennessee for the 2013 Tennessee Judo Championships. Coach Derick Wellman brought in a talented team of judokas who did not disappoint the Tennessee audience. Andrew Lazarz had the throw of tournament, executing his patented “spina” technique. He took home a silver for the day. Dan Raney scored gold in the Masters Heavyweight division. Greg Gordon had an impressive showing in his tournament debut. The marine scored double gold in Masters and senior 90kg divisions. Adnan Gutic was relentless in his division, getting a bronze medal for his efforts. Anna Feygina continues to solidfy her national top 10 ranking with a 2nd place finish in the women’s lightweight division. An awesome display of judo from Team White Dragon as all members medaled in this tournament. Note: Photo courtesy of Felix Lanier. Team White Dragon started off the new year with a bang. 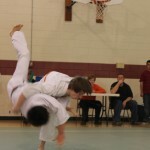 The team took its talent to Mapleton, Illinois for the Hollis Park Judo Invitational. Coach Derick Wellman had an equal number of senior and junior judokas eager to start the year off on the right foot. In the junior division, Anthony Darevsky had his work cut out for him in his large weight pool. Darevsky’s day was highlighted with an awesome osoto gari that put him in the gold medal match. He went 4-1 on the day and took silver. Jordan Ashen hit a beautiful harai goshi that should have been the throw of the tournament. He took home silver. Devin Busch put out his best performance to date, taking gold and going undefeated for the day. In the senior division, Demonn Smith had an off day, taking bronze in the heavyweight and open categories. Eugene Hamilton took silver in Mens Middleweight. Adnan Gutic started the year off right with a strong performance that resulted in a gold medal. A strong start with a judo team that is growing and getting stronger each day. There were a number of promotions that took place in January. Notably, Demonn Smith was promoted to Nidan January 9, 2013. Smith has trained under Derick Wellman for 11 years. He has been practicing Judo for 18 years. 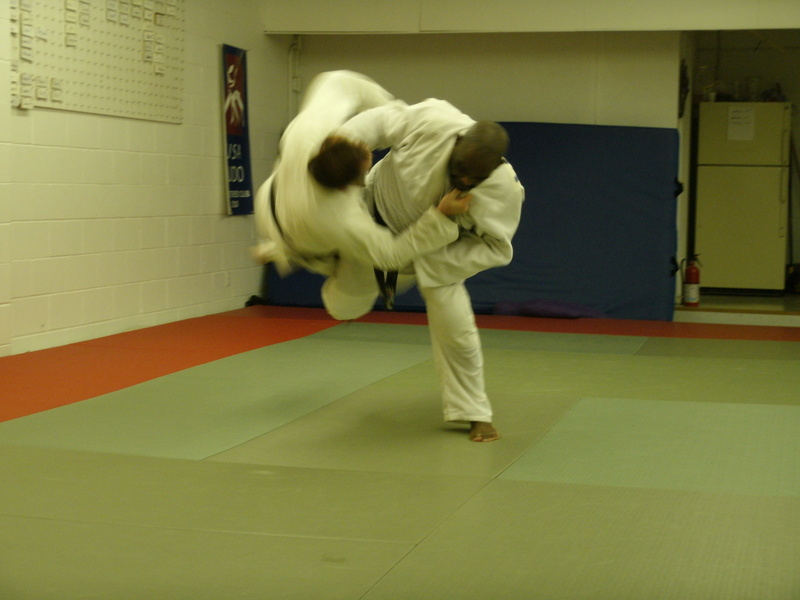 Demonn Smith brings a high level of dedication, desire, and motivation that has been very contagious at White Dragon Judo Club. His humble attitude and will to learn and practice diligently has contributed to his success in the sport of Judo. Smith placed 5th at the 2012 Grand Masters World Championships. He plans to appear at this year’s US Judo Nationals in Virginia Beach, Virginia. White Dragon Judo Club would like to extend its congratulations to Demonn Smith on achieving this milestone. 2012 was a year of prosperity and growth. The dojo has reached new heights and is the largest dojo in the state of Missouri. The dojo saw its judokas young and old achieve several goals. The year saw White Dragon Judo Club reach a single day junior practice attendance record. Attendance has grown tenfold due to an improved marketing effort, instruction, and a new junior promotion system. The new junior promotion system was very encouraging because it showed the junior judoka how much progress the individual was making. With the known progress, the judoka will return to practice and practice more to get better. The Friendship Tournament took on a new format. Instead of the event occurring annually, the tournament was directed towards junior judoka development and occurs every other month. White Dragon Judo Club was involved in 5 Friendship Judo Tournaments in 2012. Sensei Derick Wellman was not the only teacher giving out valuable judo instruction. 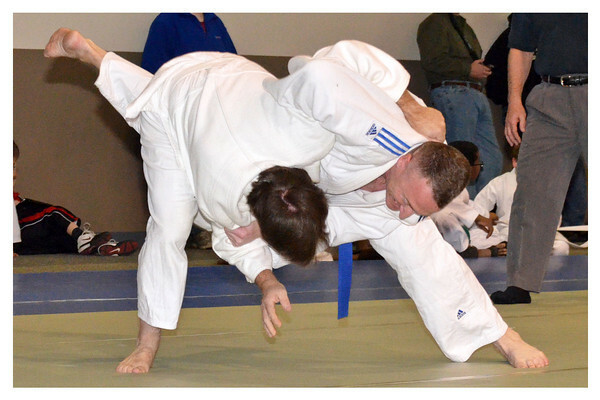 New instructors had emerged to assist Sensei Wellman in his quest to spread the sport of judo. From the junior ranks we saw the emergence of Anthony Darevesky. Anthony aspires to be an Olympic gold medalist in the sport of judo. Throughout the year Anthony worked countless hours, even joining the adult classes, working on his basic skills. Anthony only got better. Anthony competed at the 2012 Junior Olympics in Dalla, Texas. Although he did not medal, he managed to win his first match in national competition. Anthony received his green belt in September. He is the highest ranking junior judoka in the club. Adnan Gutic fell short of making the US ParaOlympic Team but is still one of top judokas in the visually impaired and senior divisions. Tiffany Choi teamed up with Sensei Derick Wellman to win bronze in the kata division at the 2012 US Senior Nationals. Anna Feygina had a great year, winning numerous medals, placing 5th at this years US Senior Nationals and was ranked 9th nationally in her weight class. Demonn Smith placed 5th at the 4th IJF Grand Masters Championships. 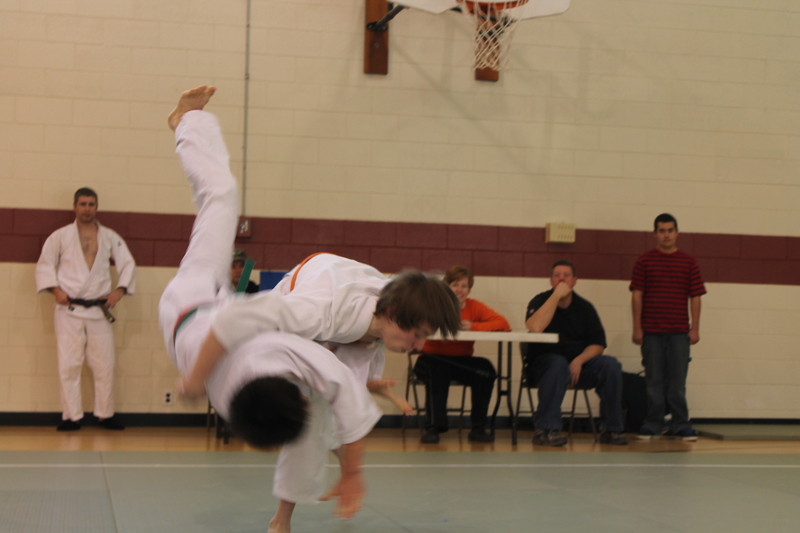 White Dragon Judo Club hosted its 2nd annual Gateway Invitational Judo tournament. This tournament continues to grow and promises to be one of the largest regional judo tournaments in the nation. In conclusion, the year 2012 was one of the most productive years in White Dragon Judo history. White Dragon Judo Club is currently the largest dojo in the state of Missouri. Families are registering their children for judo everyday and even the parents, family members are getting involved. Don’t miss out on the fun. 2013 is already looking to be a great year. We will see you on the mat.